Culinary gluttony. In the eyes of billions…a sin (albeit of relatively minor proportion). In mine…a much needed respite from climbing the food pyramid, fending off gluten, and fleeing from fat. We all need an occasional sabbatical to the land of culinary decadence – ESPECIALLY with our significant other. I’ve heard it said a couple who indulges together, stays together. Do you feel that? San Francisco is beckoning you to her divine Hayes Valley neighborhood. How can you ignore the Queen of Gluttony herself? 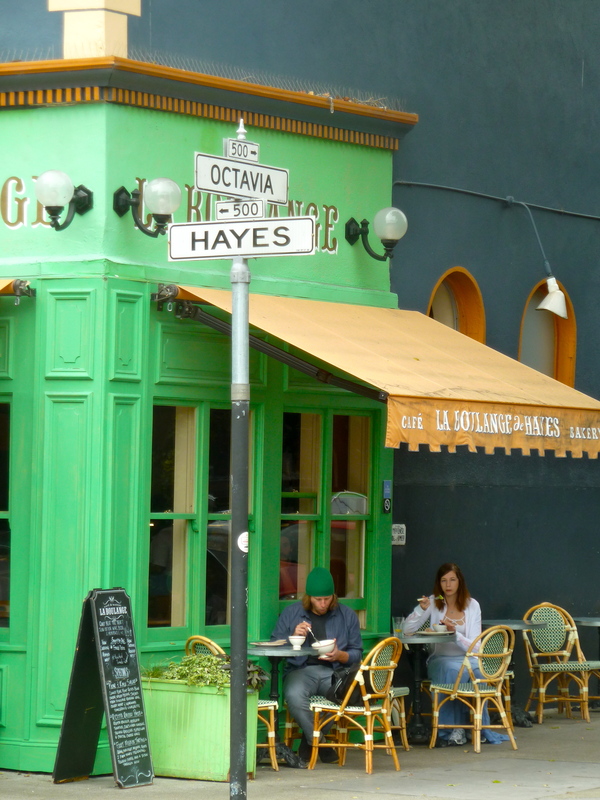 Hayes Valley is Heaven for foodies, hipsters, and couples in search of romance. Not far from the Civic Center, the neighborhood’s boundaries are generally set by Webster Street (west), Van Ness Avenue (east), Fulton Street (north), and Hermann and Market Streets (south). There are no high-rises to block the sunlight from shining down upon the colorful Victorian, Queen Anne, and Edwardian townhouses that survived “The Big One” back in 1906. Also home to an eclectic mix of trendy boutiques, brick-and-mortar restaurants, and a smattering of food trucks, one can easily spend a weekend here without ever even thinking about waiting in line for (overpriced) clam chowder and sourdough bread. SMUGGLER’S COVE (650 Gough St, San Francisco, CA 94102) – Exotic cocktails and 400+ kinds of rum. Think Pirates of the Caribbean + 1920s Speakeasy. Open from 5 p.m. to 1:15 a.m. Don’t give up until you find it. 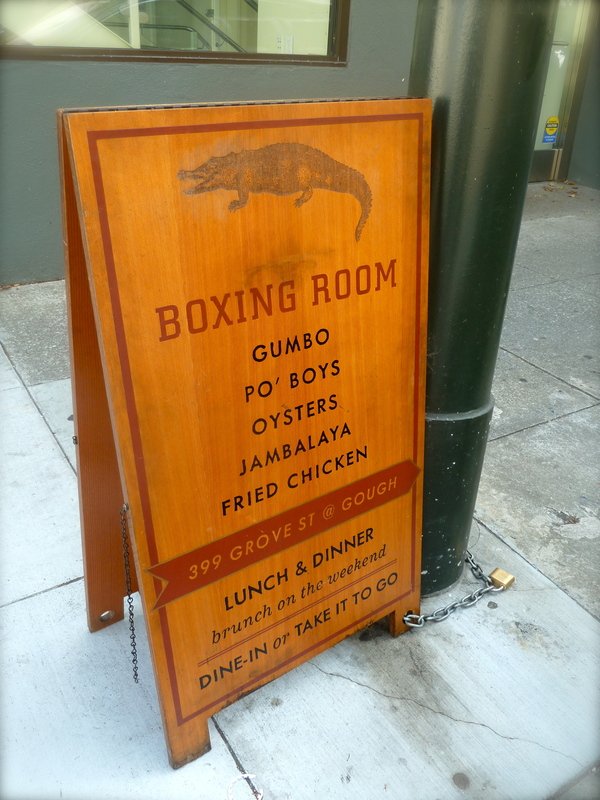 BOXING ROOM (399 Grove St, San Francisco, CA 94102) – Cajun & Creole food. Deep-fried alligator, roasted squid, and beignets top their specialty list. $1 oysters midday on weekdays. Open for brunch (weekends), lunch and dinner. ABSINTHE BRASSERIE & BAR (398 Hayes St, San Francisco, CA 94102) – French-inspired cuisine & artisanal cocktails, including French onion soup and pot de créme that will knock your socks off. If you’re in for a show, try an eye-opening Spanish Coffee or take a sip from the absinthe fountain. Open for brunch (weekends), lunch and dinner. 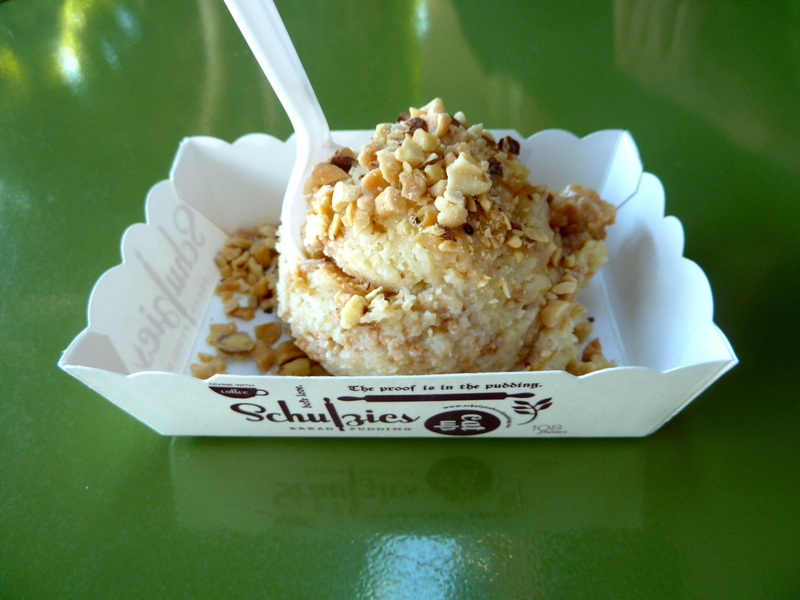 SCHULZIES BREAD PUDDING (364 Hayes St, San Francisco, CA 94102) – Not too sweet, warm or cold & creamy with toppings. Be imaginative or let the pros behind the counter design your indulgence. Open 11 a.m to 9 p.m. daily. THE GROVE HAYES (301 Hayes St, San Francisco, CA 94102) – Americana with a twist. This is far from your mama’s chicken pot pie, mac ‘n cheese or PB&J. Seriously. And, don’t miss the lavender lemonade. Open morning till night. ZUNI CAFÉ (1658 Market St, San Francisco, CA 94102) – An eclectic eatery equipped with a magical brick oven. If you’ve got the time, don’t miss the legendary Zuni Chicken or, if you happen to be there at the right time, their infamous burger. Open for lunch & dinner; closed Mondays. 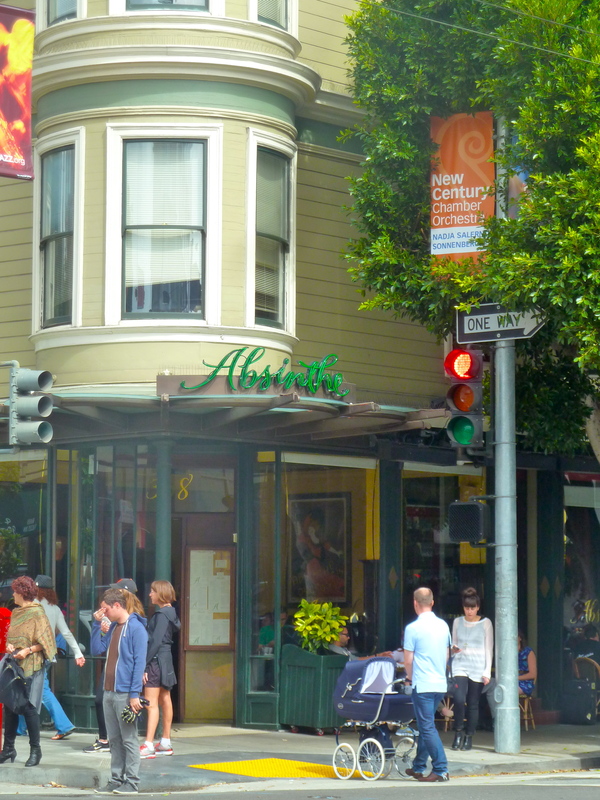 DELESSIO MARKET & BAKERY (1695 Market Street, San Francisco, CA 94013) – Cozy little café with sustainable and artisanal prepared foods. They’ve mastered Brazilian French toast, mac ‘n cheese and mini-cupcakes. Open morning till early evening. 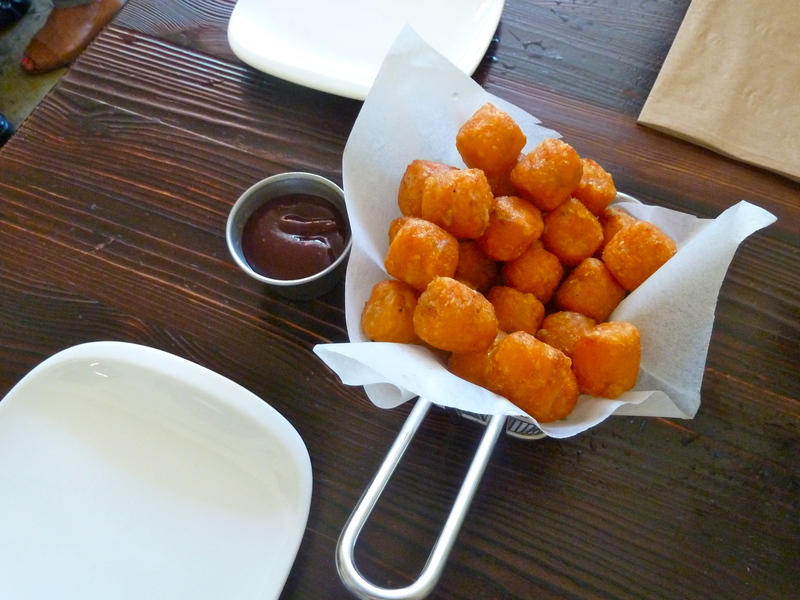 STRAW (203 Octavia Blvd, San Francisco, CA 94102) – California cuisine meets carnival fare. Siracha & cinnamon buffalo wings, corn on the cob & sweet potato tater tots with berry BBQ sauce make for a mouth-watering ride. Open all day, except for an afternoon siesta. 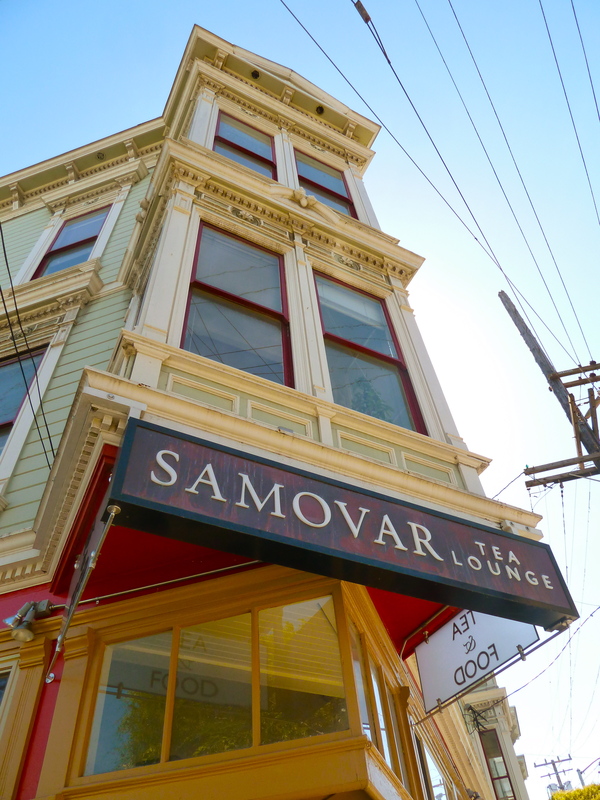 SAMOVAR TEA LOUNGE (297 Page Street, San Francisco, CA 94102) – A very zen-esque tea spot. The ideal setting for a brief food tour detox. Their teas are inspirational and brewed to perfection and their rice bowls are unforgettable. Open daily from 9 a.m. to 10 p.m.
SUPPENKÜCHE (525 Laguna St, San Francisco, CA 94102) – Authentic and hearty German fare with a Bavarian emphasis. Go early or make a reservation. Indulge in a hot pretzel, beer, potato pancakes, beer, schnitzel, beer or beer. Open daily for dinner, brunch on Sundays. TRUE SAKE (560 Hayes St, San Francisco, CA 94102) – The first dedicated sake store outside of Japan with 220+ varieties in stock. Get an education and, if you think you don’t like sake, a change of heart. Open midday to evening. 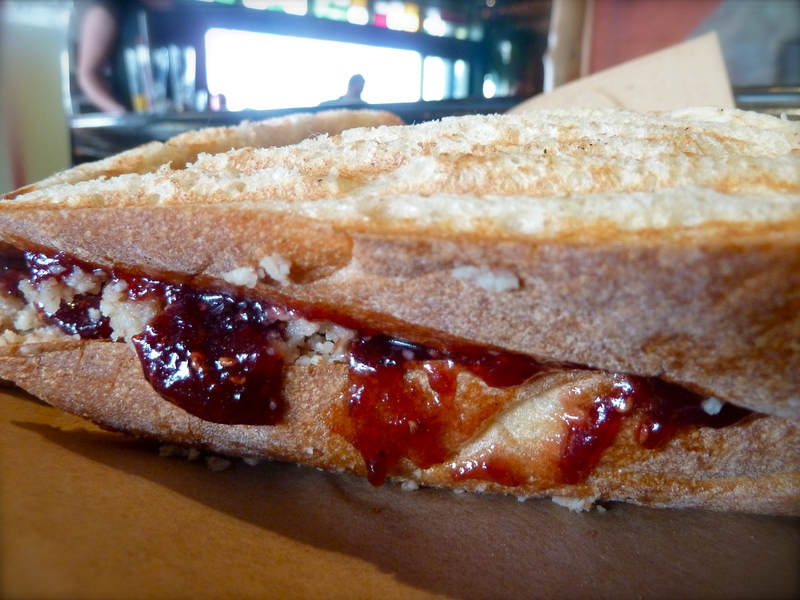 STACKS (501 Hayes St, San Francisco, CA 94102) – American comfortable food for breakfast, brunch or lunch. 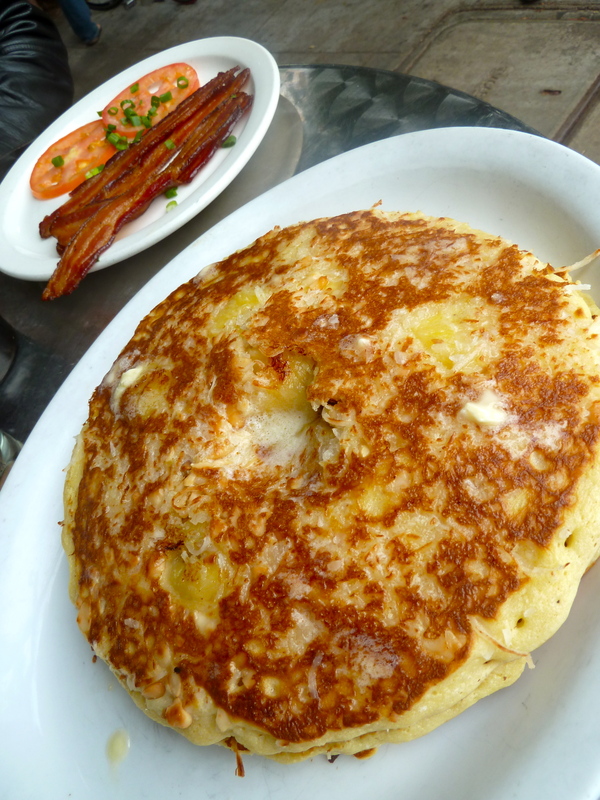 Four words…banana macadamia coconut pancakes. Three more…chicken apple frittata. Open morning till afternoon. 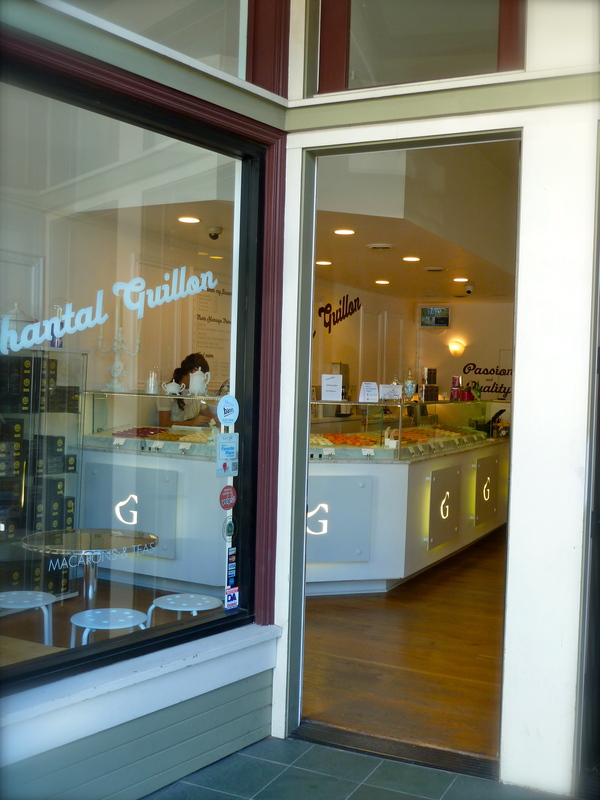 CHANTAL GUILLON MACARONS (437A Hayes St, San Francisco, CA 94102) – No need to go to Paris for an authentique macaron. A tiny bit crisp, a tad chewy, and completely delicious. Salted caramel, Persian rose, red velvet…need I say more? Open midday to early evening.